Jesus was once asked when the kingdom of God would come. The kingdom of God, Jesus replied, is not something people will be able to see and point to. Then came these striking words: “Neither shall they say, Lo here! or, lo there! 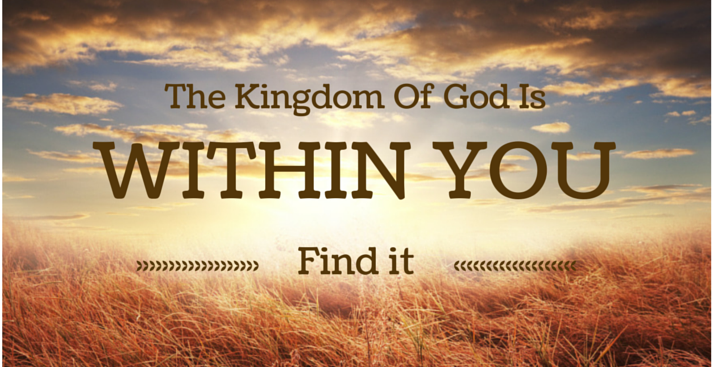 for, behold, the kingdom of God is within you.” (Luke 17:21) With these words, Jesus gave voice to a teaching that is universal and timeless. Look into every great religious, spiritual, and wisdom tradition, and we find the same precept — that life’s ultimate truth, its ultimate treasure, lies within us. As Jesus made unambiguously clear, we can experience this inner treasure — and no experience could be more valuable. “But seek ye first the kingdom of God and His righteousness,” he declared, “and all these things shall be added unto you” (Matthew 6:33). From this interior plane of life, he is saying, we will gain all that is needful. This inner treasure of life has had many names. 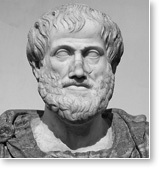 Plato refers to it as the Good and the Beautiful, Aristotle as Being, Plotinus as the Infinite, St. Bernard of Clairvaux as the Word, Ralph Waldo Emerson as the Oversoul. In Taoism it is called the Tao, in Judaism Ein Sof. Among Australian aborigines it is called the dreamtime, among tribes of southern Africa Hunhu/Ubuntu. The names may differ, but the inner reality they point to is one and the same. In every case, it’s understood that this inner, transcendental reality can be directly experienced. This experience has likewise been given different names. In India traditions it is called Yoga, in Buddhism Nirvana, in Islam fana, in Christianity spiritual marriage. It is a universal teaching based on a universal reality and a universal experience. Gregory of Nyssa, an early Christian theologian, was one of the four great fathers of the Eastern Church and served as Bishop of Nyssa, in the center of modern-day Turkey. 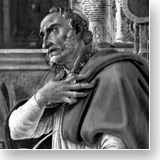 St. Augustine, regarded as one of the towering intellectual geniuses in history, wrote more than a thousand works on philosophy, psychology, theology, history, political theory, and other subjects. His Confessions, from which the following passage is taken, has remained a popular and influential work for almost 1,600 years. Born into an eminent Roman family and heir to a large fortune, Gregory decided to become a monk. After he became Pope at the age of 50, he devoted himself to social causes, the first pope especially known for doing so. 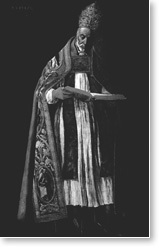 He reformed the mass and introduced the ritual plainsong known today as the Gregorian chant. He was also a noted theologian. His book, Morals on Job, from which the following passage is taken, influenced religious thought for centuries. The mind of the elect . . . is frequently carried away into the sweetness of heavenly contemplation; already it sees something of the inmost realities as it were through the mist . . . it feeds on the taste of the unencompassed Light, and being carried beyond self, disdains to sink back again into self. . . . Sometimes the soul is admitted to some unwonted sweetness of interior relish, and is suddenly in some way refreshed when breathed on by the glowing spirit. . . .
St. Teresa was one of the greatest women of the Roman Catholic church. Her books are considered masterpieces. 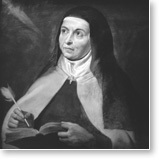 St. Teresa initiated the Carmelite Reform, which restored the original contemplative character of the Carmelite order. In 1970 she was Doctor of the Church — one of just 33 individuals, and the first woman, to be so honored by the Catholic church. My soul at once becomes recollected and I enter the state of quiet or that of rapture, so that I can use none of my faculties and senses. . . .
After completing a masters degree in English at Columbia University in New York, Merton entered the Abbey of Our Lady of Gethsemani, in Kentucky, as a monk. He was later ordained as a priest. He published more than 15 books of spiritual writings, poetry, fiction, and essays, and participated in movements for social justice and peace. He took great interest in the religions of the East, particularly Zen, for the light they shed on the depth of human consciousness. From the seclusion of the monastery, he exerted a worldwide influence. The utter simplicity and obviousness of the infused light which contemplation pours into our soul suddenly awakens us to a new level of awareness. We enter a region which we had never even suspected, and yet it is this new world which seems familiar and obvious. The old world of our senses is now the one that seems to us strange, remote and unbelievable. . . .
A door opens in the center of our being and we seem to fall through it into immense depths which, although they are infinite, are all accessible to us; all eternity seems to have become ours in this one placid and breathless contact. . . . Readers who practice the Transcendental Meditation technique will recognize in these passages clear descriptions of transcending — the natural phenomenon of mental activity settling down, like waves settling on an ocean. Consciousness reaches its most silent state, serene and unbounded. We experience pure consciousness. We realize that this is our true Self, beyond time and space, infinite and eternal. 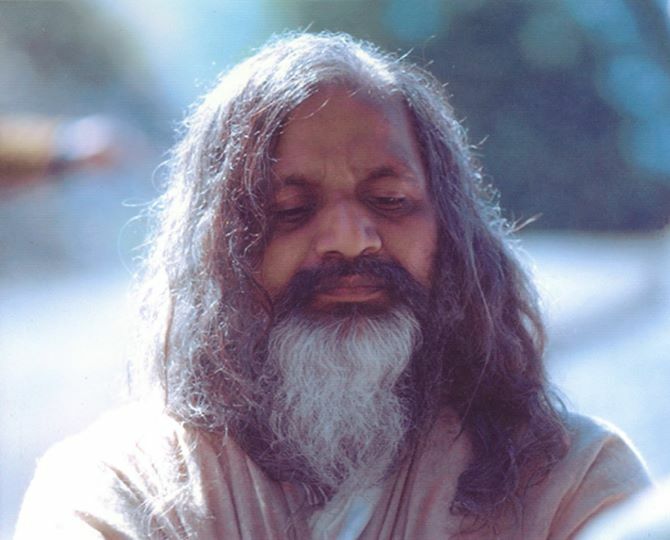 We now know, from extensive scientific research studies, that during Transcendental Meditation practice, during the experience of transcendence, brain functioning becomes integrated, physiological activity settles down, and one experiences a unique state of restful alertness, a fourth major state of consciousness Maharishi calls Transcendental Consciousness. 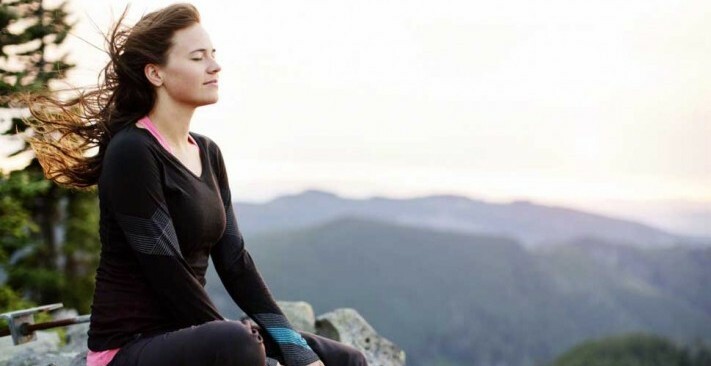 Transcendental Meditation is just the simple technique of going within, and there you are! To go within is so simple; it is so natural for every man to go to a field of greater happiness. . . .
 Herbert Musurillo, From Glory to Glory (New York: Charles Scribner’s Sons, 1961), 118. The Confessions of St. Augustine, trans. Rex Warner (New York: New American Library, Mentor Books, 1963), 149. Quoted in Cuthbert Butler, Western Mysticism (New York: E.P. Dutton & Co., 1923), 105. Maria Shrady, “Introduction,” Johannes Tauler: Sermons, trans. Maria Shrady (New York: Paulist Press, 1985), xvi. The Complete Works of St. Teresa of Jesus, trans. E. Allison Peers (1946; reprint, London: Sheed and Ward, 1978), 306–307. Teresa of Avila, Complete Works St. Teresa of Avila (London: Continuum International Publishing Group, 2002) 104. Also in St. Teresa of Avila, The Way of Perfection, trans. & ed. E. Allison Peers (Garden City, New York: Image Books, 1964, 328. Thomas Merton, New Seeds of Contemplation (1962; reprint, New York: New Directions, 1972), 226. Thirty Years Around the World: Dawn of the Age of Enlightenment (The Netherlands: MVU Press, 1986), 284-285.